After discovering a new set of luminescent tattoos on her body, Jane and the rest of the FBI team set out to solve these new puzzles and stop the dangerous conspiracies they reveal. In the series premiere, a woman with no memories of her past is found in Times Square, covered in tattoos, including an FBI agent’s name. The team unlocks a cryptic tattoo that points to an Air Force fighter pilot with a painful past and lethal agenda. Jane’s SEAL tattoo ties her to a criminal who may have clues to her past and she receives a visit from the man from her first memory. Patterson and her boyfriend David decode a tattoo clue and hidden message that leads to a catastrophic global plot at the CDC. After a hostage situation goes bad, the CIA and FBI find themselves racing against each other to apprehend the same criminal. The team works with an unlikely ally to stop a dangerous app that allows criminals to track government vehicles. 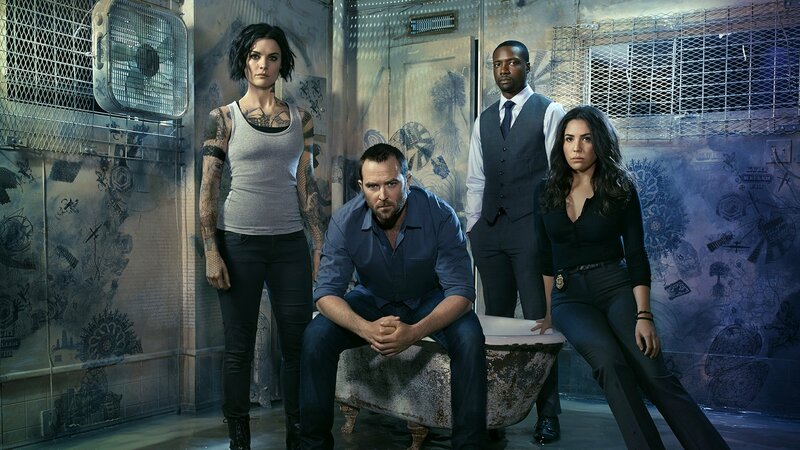 One of Jane’s tattoos sends the team to a remote location where they find themselves cut off from the FBI Home Office. When Patterson unlocks a disturbing tattoo predicting a police officer’s murder, the team chase the clue to stop a series of cop killings. Jane & Weller go undercover as a world-class assassin couple to prevent deadly information from getting into the wrong hands. The team goes after a ring of sleeper spies that have just been activated, & race to stop a slew of assassinations. While Jane reels from a series of massive revelations and grapples with whether to trust Oscar, the team follows a dangerous case overseas. After a disturbed Iraq War vet shoots up a military base, the team exposes a sinister plot, as Jane and Weller race to stop a scientist. After a tip reveals there’s a mole within the FBI’s New York office, the team must hunt for the operative while facing extreme scrutiny. As Jane considers leaving the FBI, an anonymous tip leads the team to investigate an urgent Death Row case, sending Zapata undercover. After a painting featuring one of Jane’s tattoos is heisted from a gallery, the team discovers Jane is the real target. After an armored truck is robbed, the team race to stop a terrorist attack after discovering that the stolen goods were chemical weapons. After Patterson discovers a hidden message in a crossword, she embarks on a tattoo scavenger hunt that leads her into danger. In order to take down a dangerous international criminal, Jane and Weller are forced to collaborate with an unlikely ally. When a school shooting breaks out during the investigation of a tattoo, the team splits up to take down the shooter. When a mysterious girl with a tattoo connection and terrorist ties falls into Borden’s care, he brings her to the FBI team. When criminal hackers infiltrate the building, the team is trapped inside and left to confront their personal conflicts. After an abandoned baby is found with a tattoo identical to Jane’s, the team races to find out the baby’s identity. Weller searches for the truth, while Jane reaches out to a former suspect for help with Oscar.